Should You Use a Credit Card to Pay Taxes to the IRS? For all its dreaded mystique, tax time is actually pretty good news for most Americans. More than half of people who file will get a refund from the government. For them, April 15 is like a mid-year Christmas. About a quarter of us, though, will end up owing money, and we fear one thing above all else: coming up short on April 15. In case you don't have enough cash to pay your taxes the government does allow payment with a credit card. It's tempting to just charge that bill and worry about it all later, but don't reach for the American Express just yet. Here are a few things to consider before putting your taxes on credit this year. The IRS charges a fee to pay taxes with plastic. "Although you may not be aware," writes Chris Mettler, president of CompareCards.com, "every time you spend $100, the retailers you do business with pay the credit card company about $2 to $3. The IRS is a government agency responsible for collecting revenues from taxpayers, not giving money to credit card companies. There are laws that prevent the IRS from paying any kind of service charges to your credit card company. Since that's the way it works -- and since credit card companies still want their share of the transaction -- you end up having to pay it yourself in the form of an administrative fee." The average transaction fee runs about 2 percent to 3 percent of the transaction. All things considered, that's not too bad, but it's still money you didn't have to pay. While there can be many reasons to use a credit card for your taxes, often the number one motive is simple: not enough money in the checking account to cover that bill. The problem is that means you likely can't pay off that credit card bill at the end of the month, which means it will carry over and start collecting interest. If your interest rate is anything but rock bottom, this can add a bundle to a bill that was already too high from the get-go. The IRS negotiates when taxpayers can't meet their burden. Setting up a fixed or negotiated plan is usually a better idea than spending the next six months with a hefty credit card bill, and generally it doesn't involve interest to boot. Carrying a lot of debt can hurt your credit score, especially if you slide through on minimum payments. "If you have a high credit limit and a low tax debt (less than 25% of your limit), you might not see much adjustment in your score," writes Mettler. "If you're already trying to protect your credit though, adding a large balance into the mix may not be the best plan." Putting last year's taxes on a credit card doesn't stop them from mounting this year, too. There aren't many great options if you just don't have the cash on hand, but if there's any way to avoid putting off taxes, it's better to just get them paid. After all, if you think it's hard putting aside the money to pay one year's taxes at a time, imagine how much harder it'll get when you need to find the cash to pay off last year's bill too. Savvy credit card users might want to get some quick rewards points. After all, you're spending the money anyway, why not get something back for it? It's not a bad idea, but be careful before reflexively reaching for that travel card. 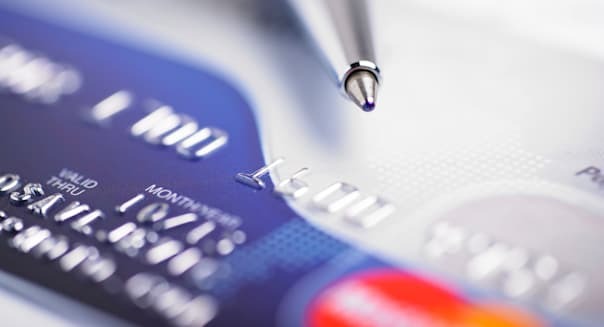 "It is important for you to study your credit card agreement thoroughly before rushing headlong into this kind of strategy," Mettler writes. "A lot of card companies will only offer 1 percent cash back on this kind of payment. ... When you factor in the 2 to 3 percent you'll probably pay in merchant fees, you will end up losing money overall." Can credit cards work for your taxes? Sure. As a way to buy a little bit of time, especially for someone who has the cash but doesn't feel like emptying his bank account all at once. Just be careful. What seems like a quick fix on April 15 might come back to haunt you for the rest of the year. Eric Reed is a freelance journalist who writes frequently on career and travel. You can read more of his work at his website A Wandering Lawyer.